HOTELette Dallas is the newest addition to the hotelette collection. aT 2,100 sq. ft, HOTELette Dallas has 3 spacious bedrooms and 2 full bathrooms. 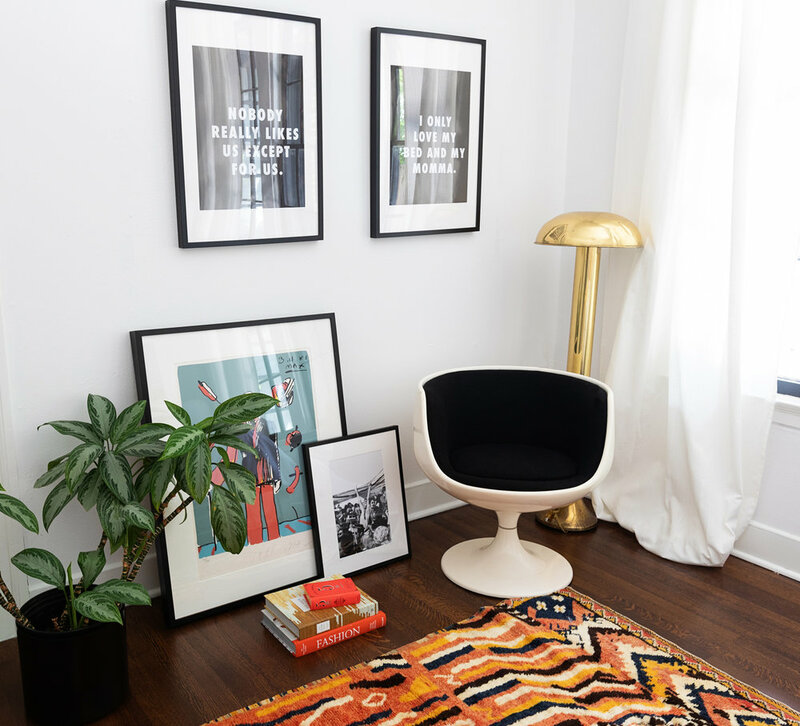 the décor features french lighting, mid-century classic designers, and sophisticated yet fun artwork that will leave you inspired. In the spacious living room, grab a book off of our bookshelf and lounge on the couch for a peaceful evening. Or, test your mixologist skills at our brass cart. In the fully stocked, Parisian-style kitchen you’ll find mid-century Austrian chairs, a zebra bench and punchy art. This home sleeps ten guests in three bedrooms. 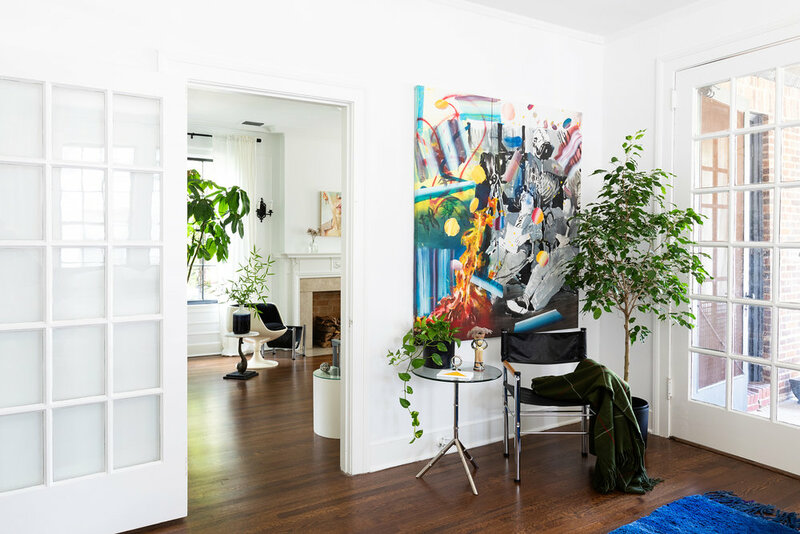 The front room, also known as the "blue room" features a king bed with Brutalist furniture like a lucite bench, a lounge chair and pops of colorful art. Guests will use the nearby full bathroom with and a tub/shower combination. Down the hall, you’ll find what we like to call the "love room". It has a king bed with modern lighting and has Spanish art, including our favorite pink tones "love" sign. The bathroom is next door and also has a tub/shower combination. The master room is at the end of the hallway and features two full size beds. Decor includes moroccan rugs, dark walls and french modern inspired lighting.The room also has it's own connected bathroom featuring a full bathroom. HOTELette Dallas is nestled in one of dallas's most unique neighborhoods, Bishop Arts. The bishop arts district is home to over 60 independent boutiques, restaurants, bars, coffee shops, theaters and art galleries that stay open late on the weekends to provide a fun shop, stroll, and eat environment. WE'VE TAKEN THE WORK OUT OF YOUR STAY. READ THE HOTELETTE GUIDE TO dallas HERE - it's complete with tried and true favorites, hidden spots and local-only locales. 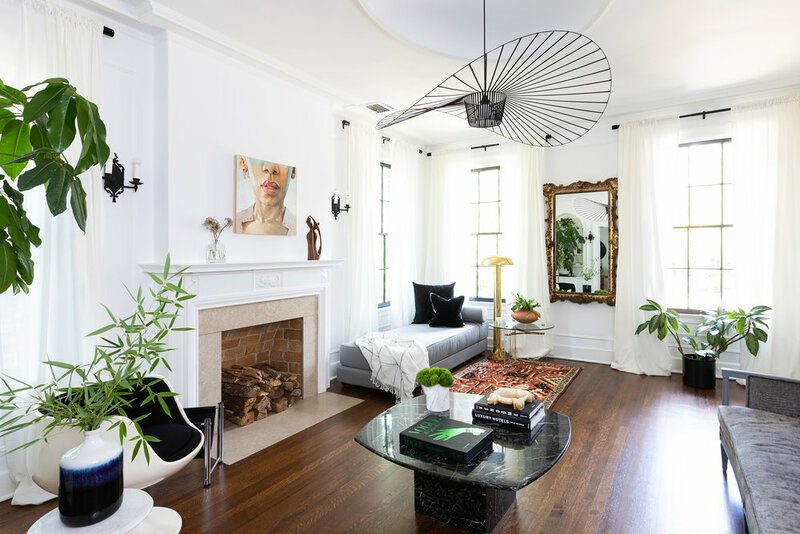 from domino magazine to rue to lonny magazine, hotelette dallas has attracted the attention of international design houses.